oUF_mono is a layout for oUF 1.5. * by haste. It was designed for my personal needs as hybrid class, so it should be comfy for either damage dealers, healers or even tanks. This layout was made using zork's structure template from oUF_Simple and the raid module was inspired by Freebaser's oUF_Freebgrid. This layout contains some basic configuration options via editing cfg.lua. However if you want to modify this layout beyond those settings you're going to need some lua knowledge and you got to read through oUF documentation. You may also find some answers and help in the oUF sub-forum on this website. Keep in mind that I will not modify this layout for you. Main tanks and MT targets support. Ready check icons (oUF_ReadyCheck included). Q: Is it a bad thing to shoot pedestrians with your bow through the back window of your car? A: Yes it is, because you can't see the road then. Q: How do I get rid of the raid frames? A: Either turn it off in cfg.lua or just remove "oUF_mono\raid" folder. 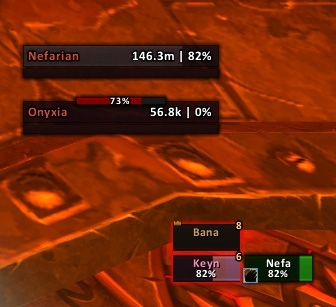 Q: How do I remove duplicate timers on my buffs and debuffs? A: You're running some sort of cooldown timer add-on, therefore you have to disable layout's custom timers by setting "cfg.auratimers" to "false". oUF_mono: fixed tags counter tags for POM, ES, etc. oUF_mono: visibility fix for 40 man raid groups with party/raid5 option(s) enabled. oUF_mono: removed cfg.showpartypet option from the config file since they are on by default now. Please add a config position buff and debuff. frames focus and tot are the same fyi... so cfg is ok afaik. Tried targetoftarget as well... with no luck. AND... is it possible to show only timers on buff/debuff icons without that clockwise default saturation? Last edited by glupikreten : 12-09-12 at 01:43 PM. Does this mean a debuff filter can be used for raid frames or is it not implemented? the chi bar seems broken with 5.1. Anyway to fix it myself? 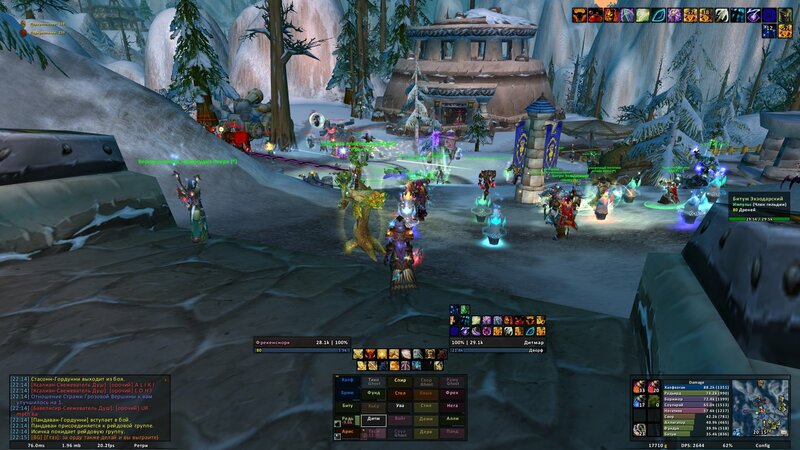 And is this addon being updated for 5.1? I just got these frames and really like them but i have a few questions. Is it possible to have class colored unit frames instead of just the name? How can I invert raid frame colors and set class color codes? 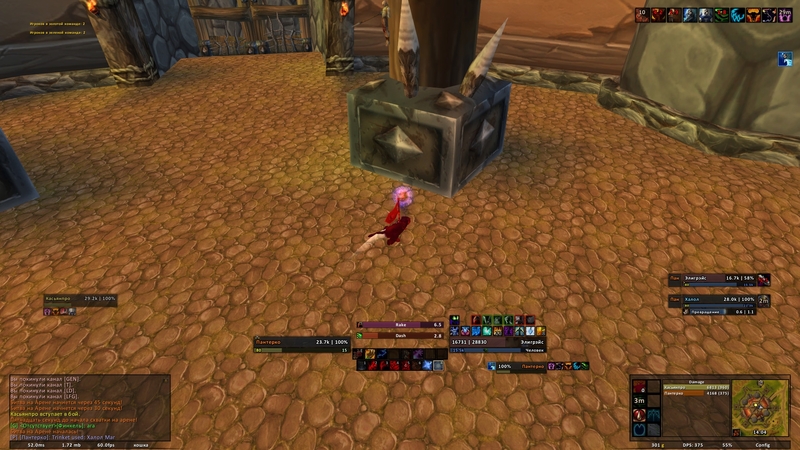 How can I remove the frame castbars or change the size of the class bar/mana bar on player frames? (found how to change the class bar in lib.lua but should be configurable for unlocked class bar more easily). Last edited by Bizerk : 11-30-12 at 05:56 AM. Latest version has class specific powers merged into 1 bar so use the stable one for now. In other words Github version of oUF does not have holypower bar module. I'm using version 5.0.5 of your layout and version 1.6.0 of oUF and the holybar is still not responding. The bar is showing but not responding as @drnkn pointed out. I've tried in both Prot spec and Holy spec and I'm on the live realm. Does anyone know if there's a fix for it? Would you be able to add Combo Points for Rogues, Chi for Monks, and Prayer of Mending bounces for Priests to the Alt Power Bar? new version fixed it, thanks! Last edited by bazinga : 10-16-12 at 03:28 PM. This version is outdated, I'm currently testing a new one and will soon push an update here. hi, first things first: i really appreciate your work and i love the style of it, but i got 2 questions. and nothing ouf related. Im using ouf version 1.6 and if im using ouf 1.5.16 or 1.5.14 the mono layout does simply not work (UI is showing the default Blizzard Unit Frames). Developing and keeping add-ons up to date require allot of time and effort. So if you like my work please consider supporting me (paying for my WoW account mainly) via PayPal donation or WebMoney transfer.